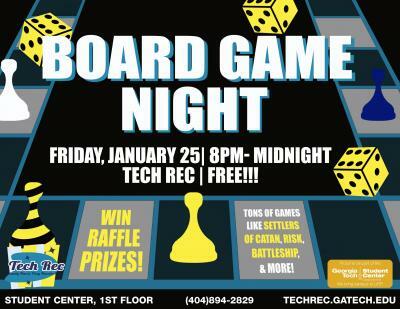 Board Game Night in Tech Rec is back! Tech Rec's board game collection includes Chess, Settlers of Catan, Risk, Jenga, Cards against Humanity and so much more! During the night, Tech Rec staff will raffle off prizes, so there are many chances to be a winner.